In the domain of enterprise architecture (EA), project and team complexity can be a challenge as well as an opportunity for knowledge management (KM). EA projects generate a series of artifacts that contain knowledge directly or indirectly which can be reused or transferred from project to project. 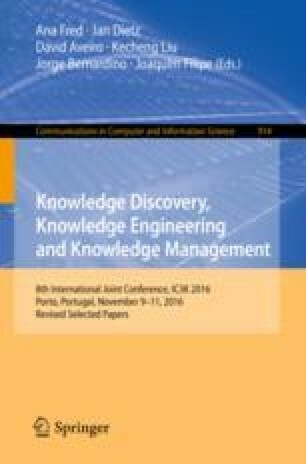 In this paper, the interest in providing a KM framework for TOGAF-based EA, to capture, store and reuse lessons learned in the first phases of the project. The framework is described in a meta-model known as “ways of”, addressing the ways of thinking, working, supporting, controlling and modeling. Validation is presented through a case study in a consulting company and through expert opinion.